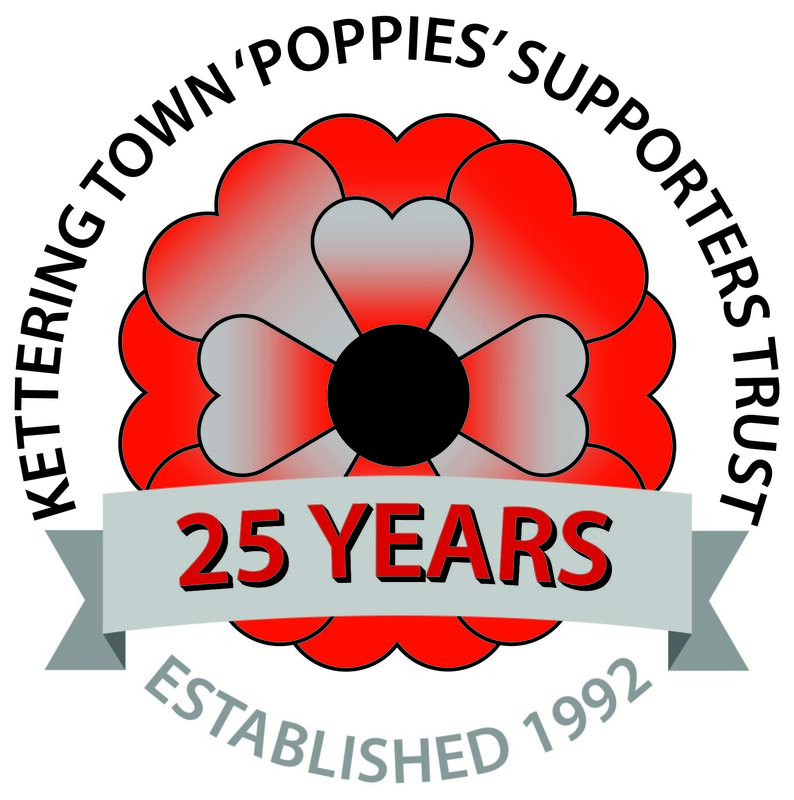 Kettering Town (Poppies) Supporters Trust was formed in 1992, being the second such organisation in the UK. The Trusts initial aim was achieved, in working with the Administrator to save the Club after it was placed into Administration and prior to Mr Peter Mallinger taking over. The Trust subsequently took a back seat until February 2002, when fund raising activities were resurrected following the revelation that the Club was facing another financial crisis. Since then the Trust has been and remains active on many fronts. The Trust is a full member of Supporters Direct and The Football Supporters Federation. To strengthen the bonds between Kettering Town Football Club (the Club) and the community which it serves and represent the interests of the community in the running of the Club. To benefit present and future members of the community served by the Club by promoting, encouraging and furthering the game of football as a recreational facility, sporting activity and focus for community involvement. To encourage the Club to take proper account of the interests of its supporters and of the community it serves in its decisions. To encourage and promote the principle of supporter representation on the Board of Directors of any company owning or controlling the Club and ultimately to be the vehicle for democratic elections to the Board. To raise money and donate in such a way to promote the aims and objectives of the Trust and to the benefit of the local community and supporters of the Club. To maximise the potential, future success and stability of Kettering Town Football Club. The Trust Board comprises individuals duly elected from within and by the Trust membership. Currently the Board comprises 10 Board and 3 co-opted members. Officers of the Board are elected by and from within the Board at the Board meeting immediately following the Annual General Meeting. The Board is responsible for observing and working within its rules and constitution and for keeping proper accounting records and safeguarding the Societys assets. The Society is held by law to prepare annual financial statements for each financial year, which give a true and fair view of the state of affairs of the Society. In recognition of the Trusts role, it held the position of a full directorship of Kettering Town Football Club from September 2003 to October 2005. When Mr Imraan Ladak took control of the Club in November 2005, he initially offered the Trust three places on the Board of KTFC; this proposal was subsequently changed, with three positions on the KTFC Management Committee offered, which the Trust accepted at the time. The Management Committee never really got off the ground and the three elected Trust representatives attended the only two Management Committee meetings held during 2006/2007. The membership year of the Trust operates from 1 August to 31 July each year. Full membership of the Trust is open to all persons over the age of 16 years. Junior (Associate) membership is open to young people under the age of 16. Each full member is allocated one £1 share in the Society. Members have the rights and powers available to them under the law relating to Industrial and Provident Societies and are to decide in particular the issues specifically reserved to them by the Trusts rules. Supporters Direct is a government initiative funded by public money. Its principle aim is to promote and support the concept of democratic ownership and representation through mutual, not-for-profit structures within football clubs. Thousands of pounds donated to KTFC (raised from the 500 Club and many other activities). These funds have supported the Club, over time, in the loan signing of players, sponsorship of youth and girls teams, purchase of kit and medical supplies, funding of players wages, pitch and ground improvements at Rockingham Road and more latterly at Latimer Park. Organised lots of initiatives and fund-raising activities over the years including the Bring-a-Friend Game sponsorship in 2002,the kids penalty competition throughout the 2003/4 season, the Kids For Free sponsorship in 2004/5 season, Easter and Christmas parties for Junior Trust members, ran the Club Christmas raffles increasing the money raised, sponsored walks, race nights and so on. Donated to players testimonials (C Norman, M Matthews, W Duik and B Solkhon). Greatly enhanced communication with members and Poppies fans with newsletters, programme notes, website and more recently with Facebook and Twitter. Created a Poppies Memorabilia archive which includes programmes, newspaper cuttings, fixture lists and much more for regular public display* (culminating in an exhibition at the Kettering Museum for several weeks during the Summer of ????). Donated over £600 to local charities and community projects from 2004-2008. In more recent times, the Trust has worked with the current Chairman and all Poppies fans to raise money to save the Club from extinction. The Trust organised a just giving page which was successful in raising £20000 to help secure the future of Kettering Town Football Club.